Make beautiful simple suncatchers with mosaic-like Tissue Circles and easily-available materials in your craft closet! 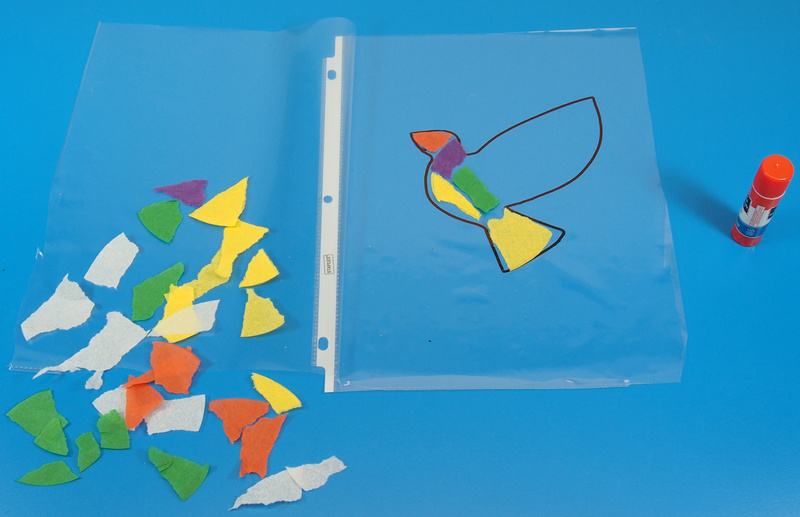 Learning Objectives: Use fine motor skills to tear up Tissue Circles into mosaic-like sections. Piece the materials together to create a visually beautiful mosaic image. 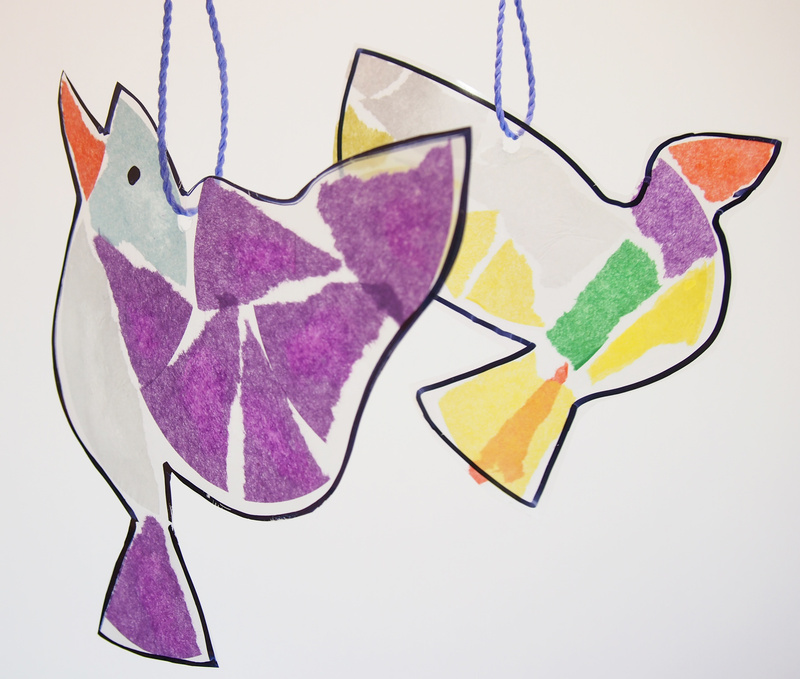 Create beautiful suncatchers from simple materials. 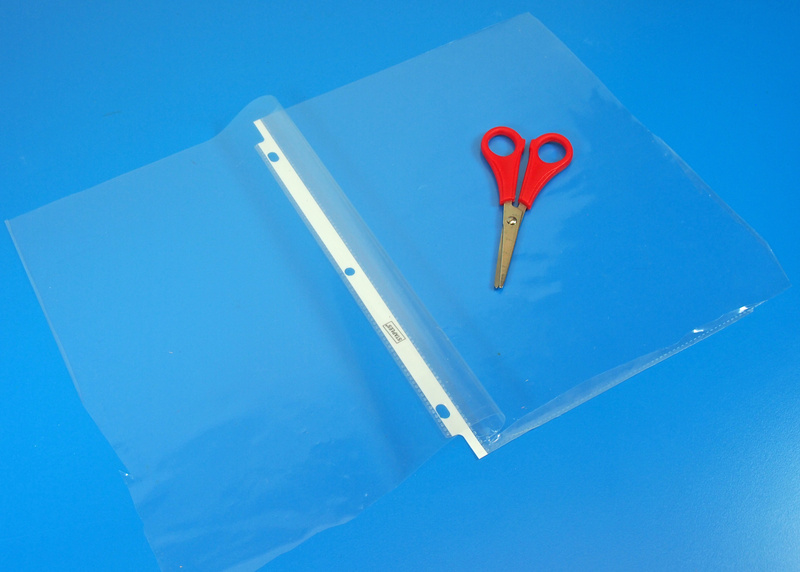 Cut the two closed edges of the plastic sheet cover. Open the sheet cover with the pages on either side. 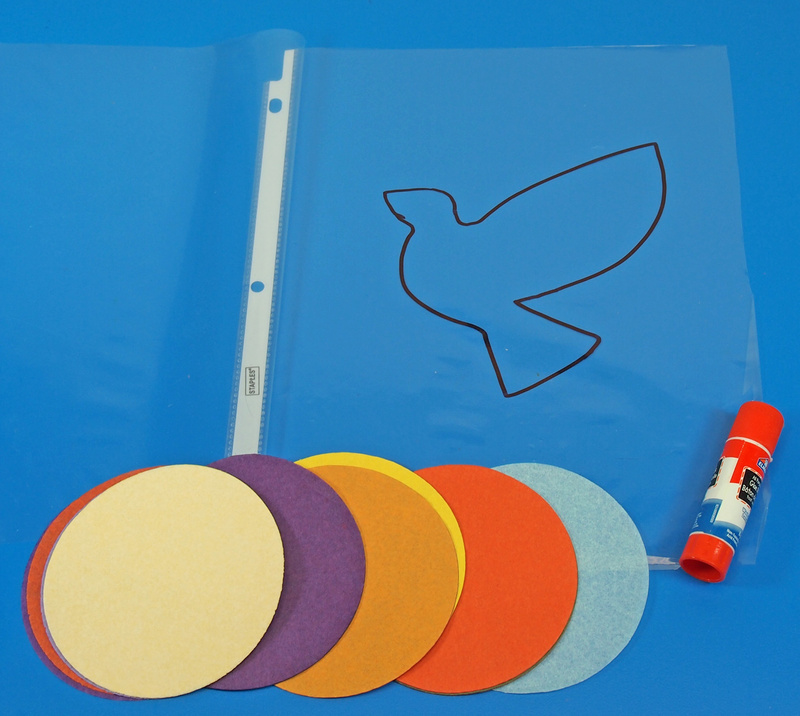 Use the black marker to draw a simple bird shape. If you are worried about making a mistake, first sketch out your design on a sheet of scrap paper. Place the paper underneath the sheet cover and trace it. Tear up the Tissue Circles into small pieces. 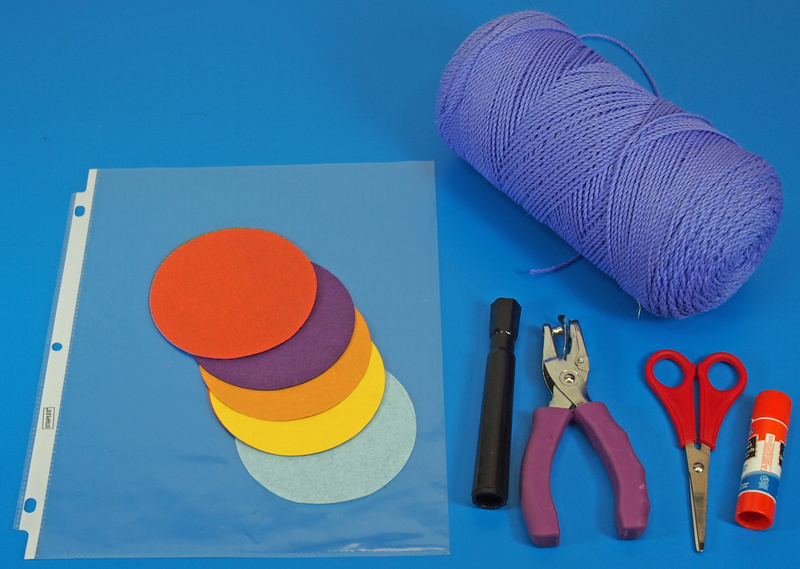 This is a great activity for young kids to exercise their fine motor development. Pick out the pieces that fit within the bird outline. Lay them out so that there are small spaces in between the pieces to make the overall image look like a mosaic design. Once you have arranged the pieces, paste them down. Rub a bit of glue on top of the mosaic pieces and fold the other half of the sheet cover on top. Press the sheet cover down to secure the design in place. 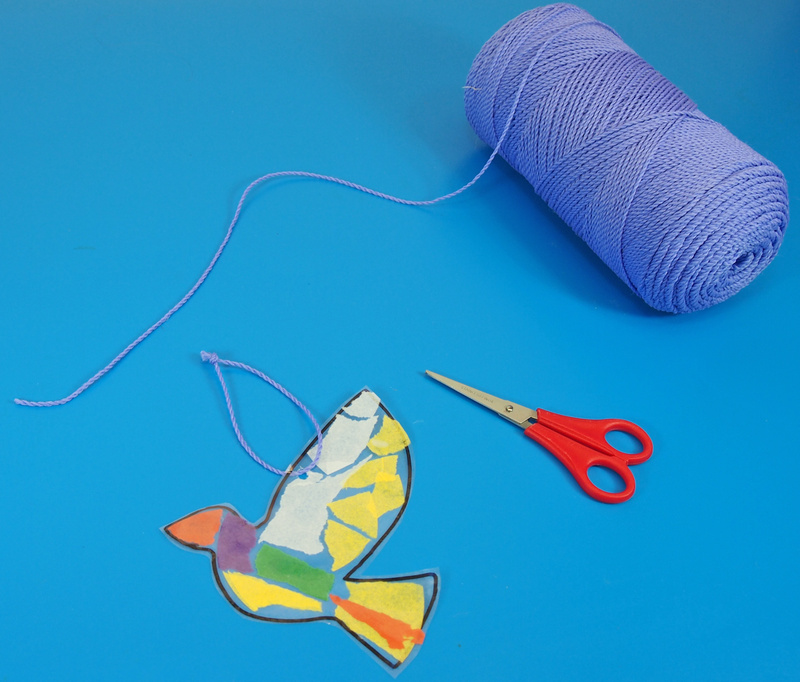 Cut around the outline of the bird suncatcher. 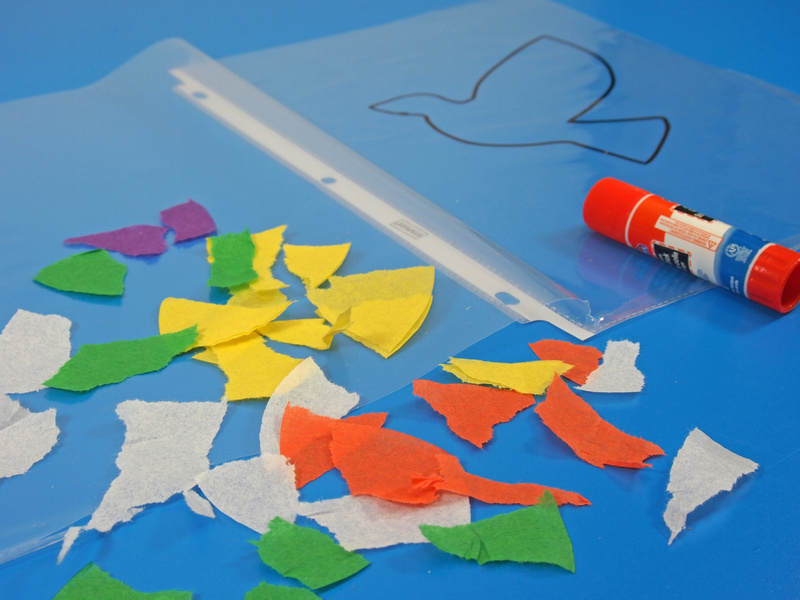 Use a hole punch to punch a hole through the top of the bird. Next, measure and cut a length of string to be thread through the hole and secured with a knot. Hang up the gorgeous designs at a window to let the light shine through! You can even overlap parts of the tissue to get different colors as the light filters through the paper. 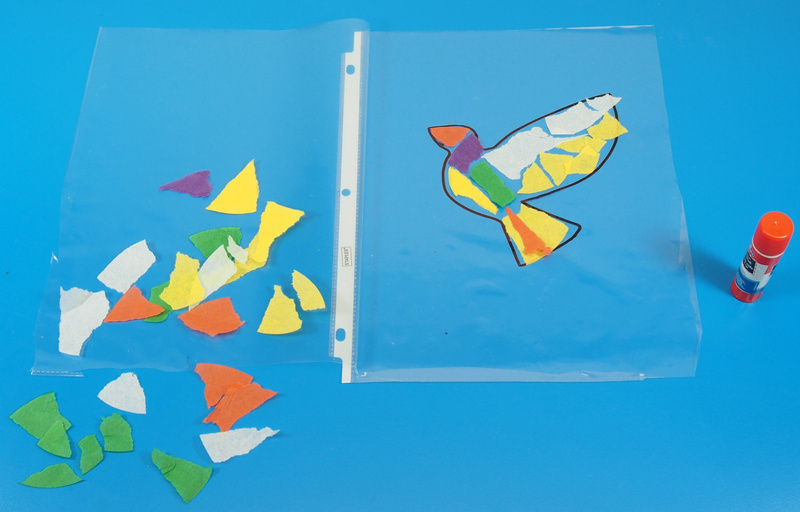 This entry was posted in Crafts, download and tagged art mosaics, bird suncatcher, fine motor activities, mosaic crafts, mosaic suncatchers, paper mosaic, r2172, tissue circles, tissue paper crafts by roylcoblog. Bookmark the permalink. such a cute idea! will link you over #pintorials thanks. Gotta love a suncatcher – these are so pretty! This is a cute craft, this would be good for when you need something quick. Thanks for posting. Hello from Frugal Family Linky.